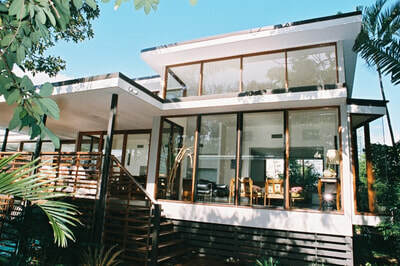 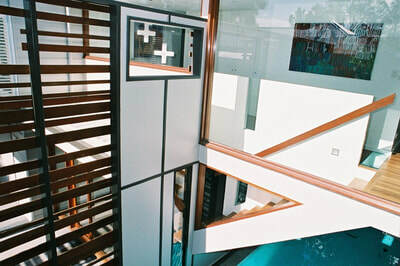 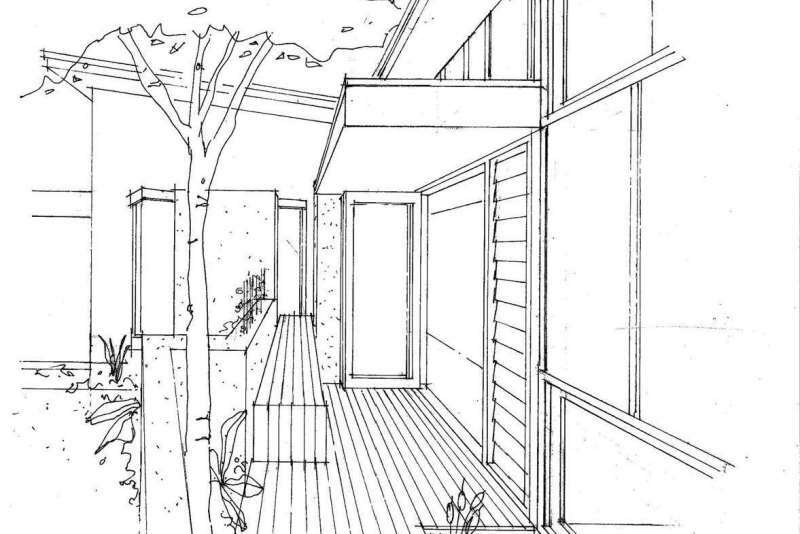 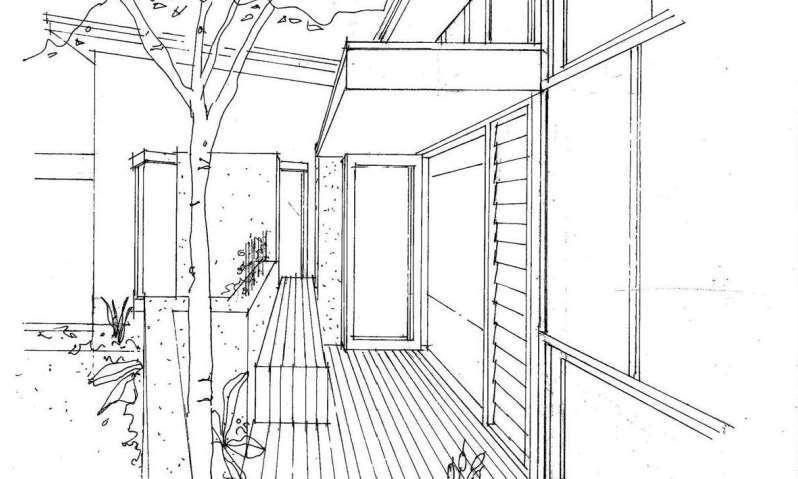 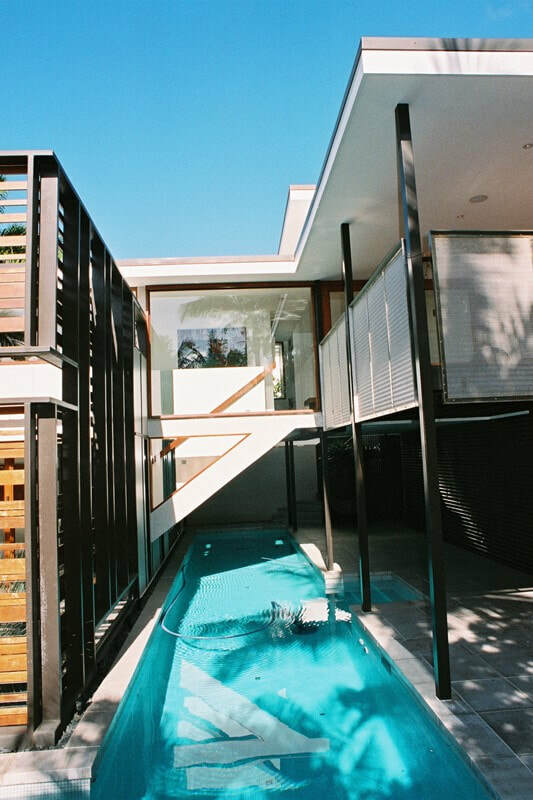 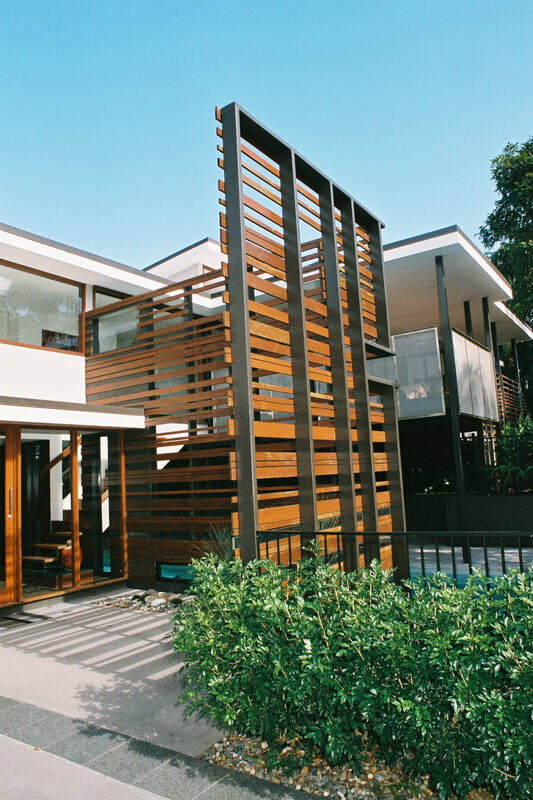 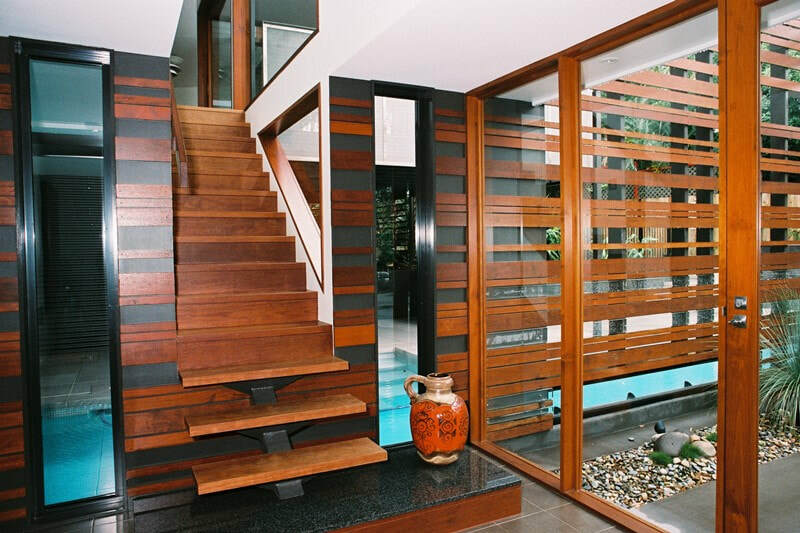 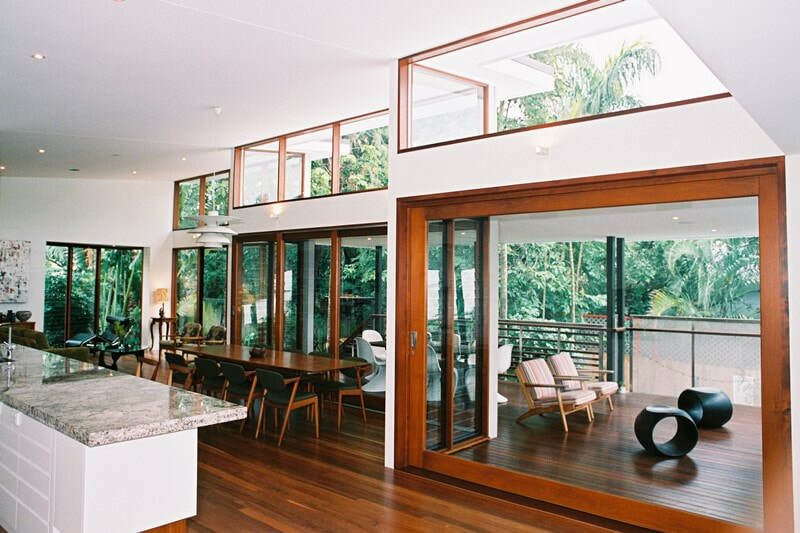 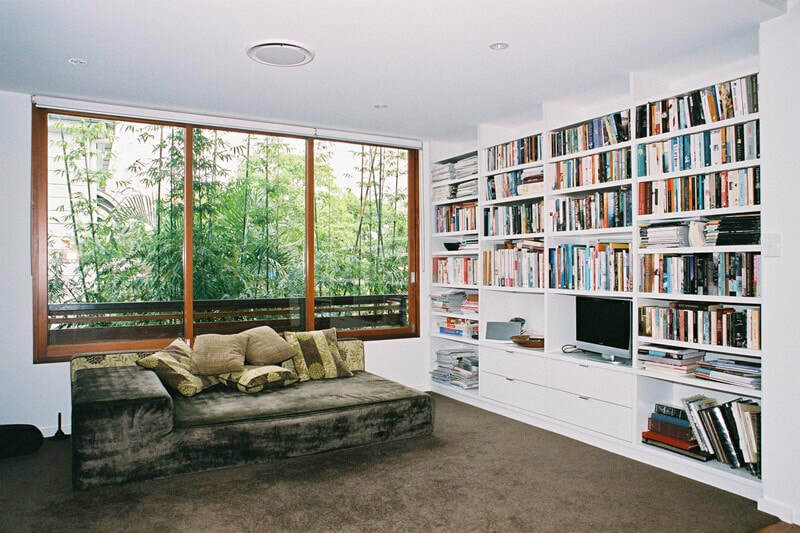 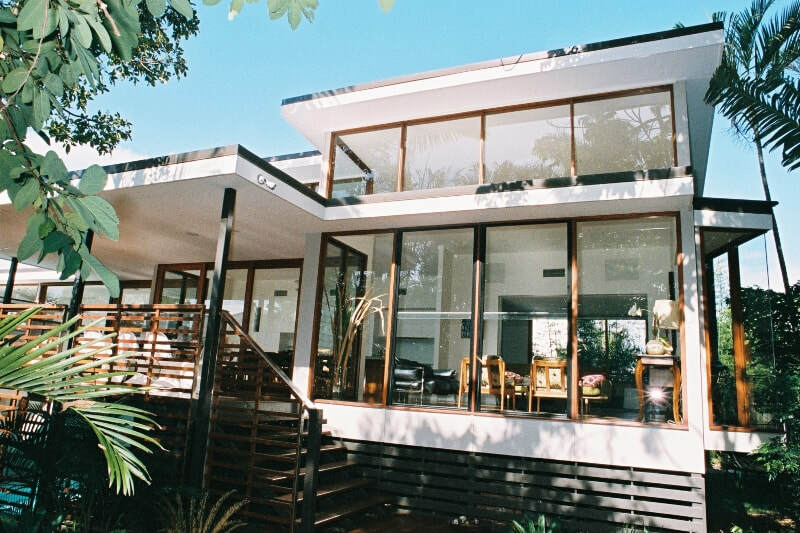 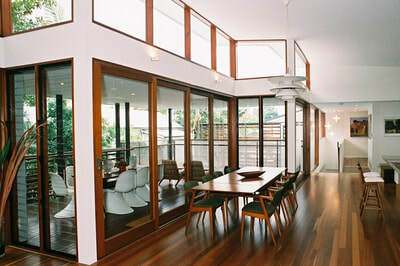 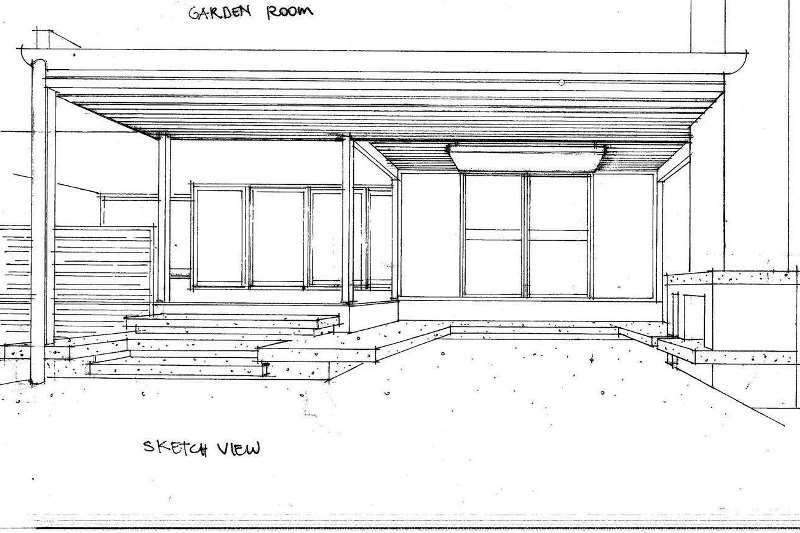 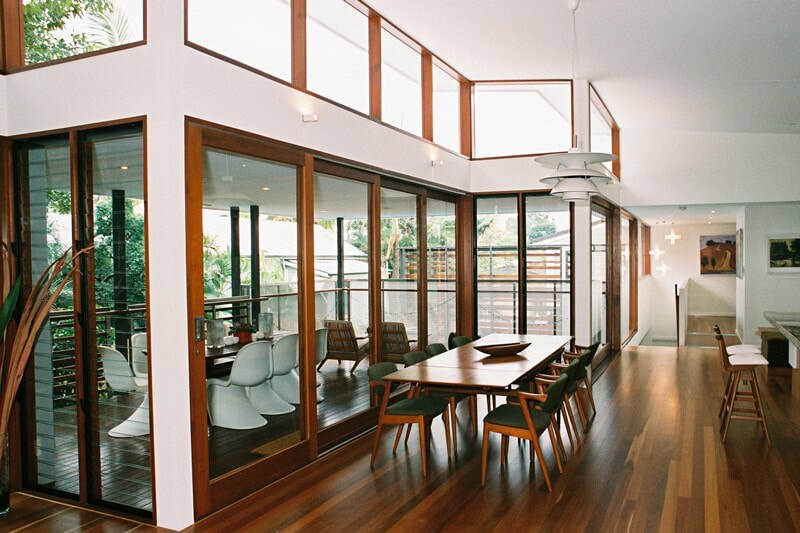 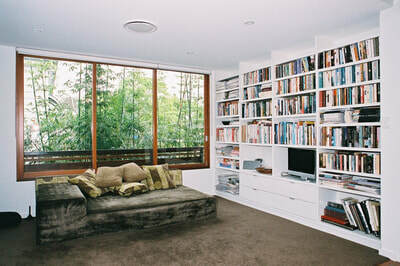 The front part of this house in Bulimba was converted to a bedroom wing. 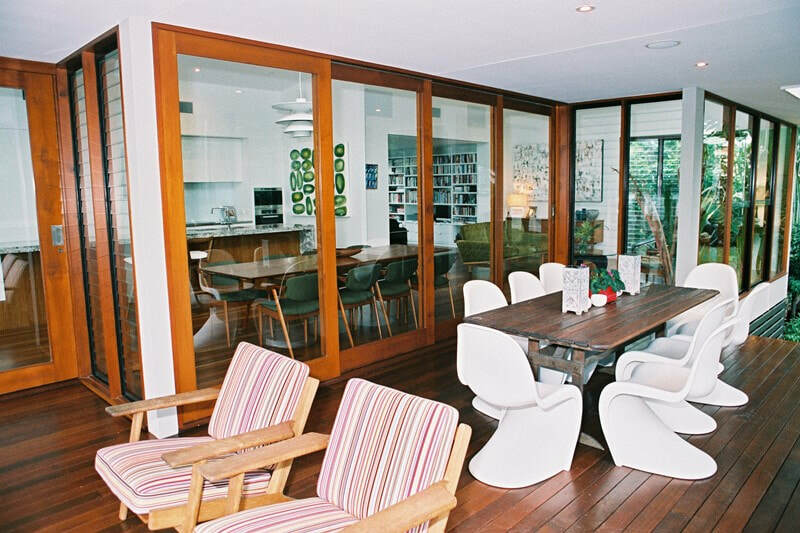 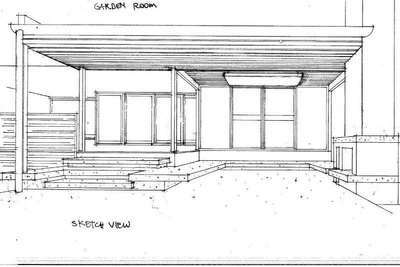 A large rear extension became the open plan living, dining and kitchen area, with a generous deck, all taking advantage of the northern aspect. 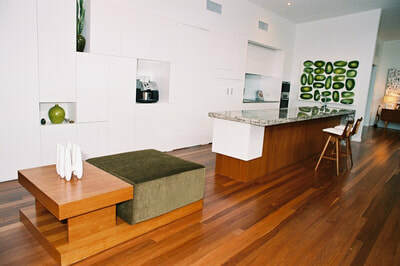 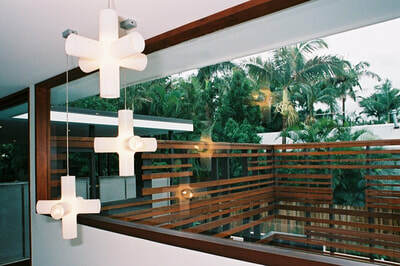 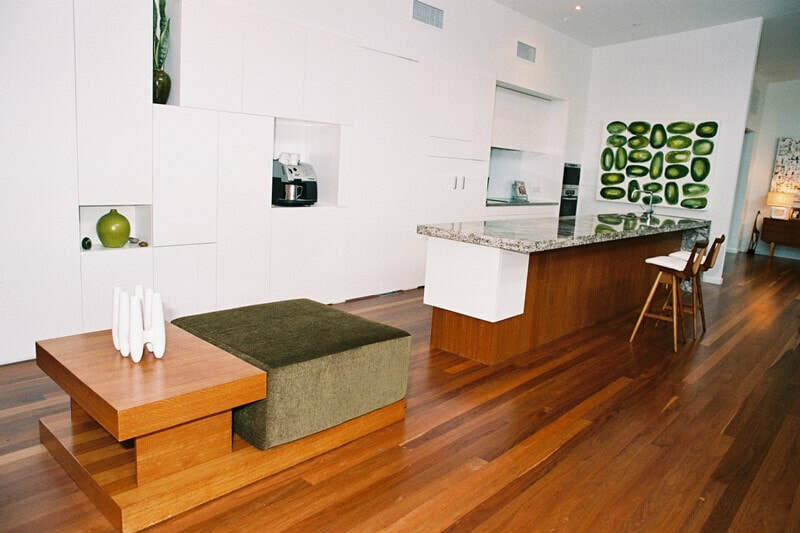 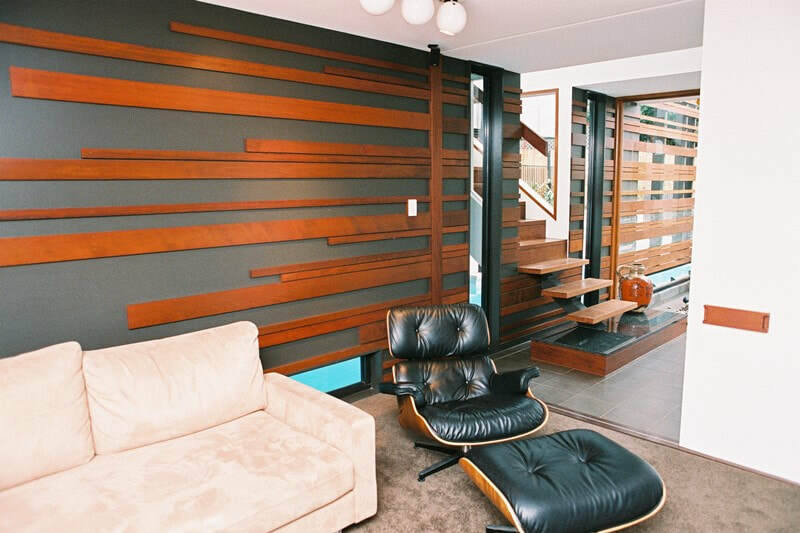 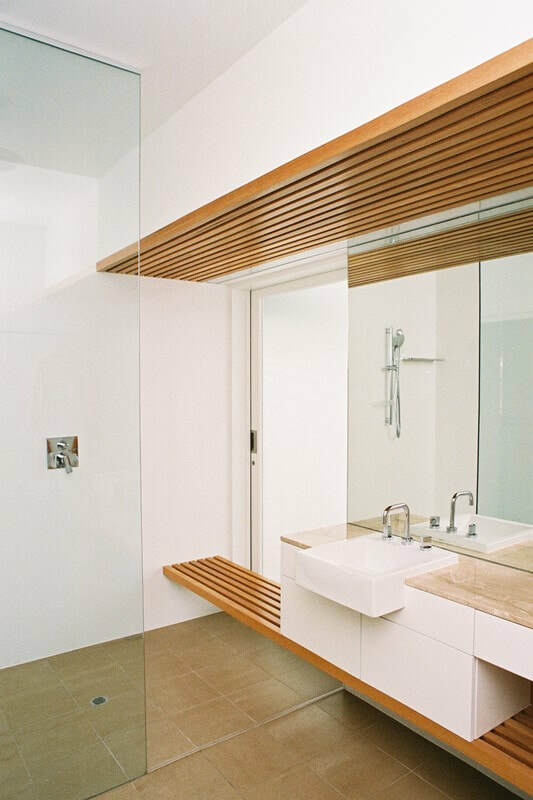 A palette of timber and white makes a great background for the clients’ mid-century furniture and collection of artwork.